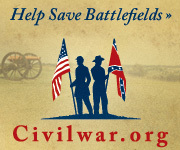 During the Civil War, the state of Michigan mustered fourteen light artillery batteries. 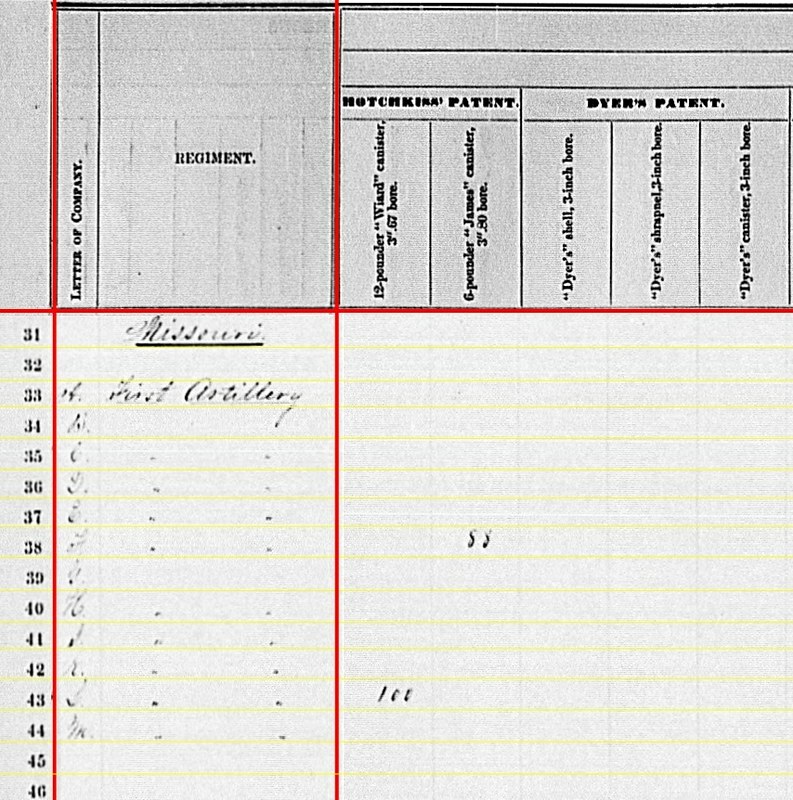 Of that set, only ten were organized at the time of the December 1862 report. 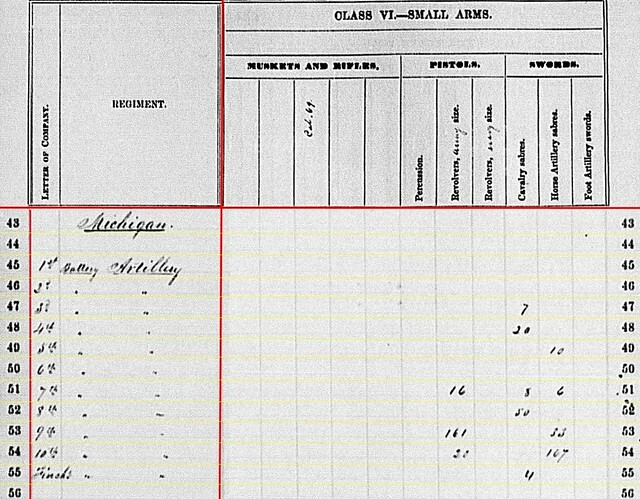 According to many official reports and returns, the first twelve were lettered batteries within the 1st Regiment Light Michigan Artillery (i.e. Battery A, 1st Michigan; Battery B, 1st Michigan, etc). But other references cite these as numbered batteries (i.e. 1st Michigan Battery, 2nd Michigan Battery, etc). 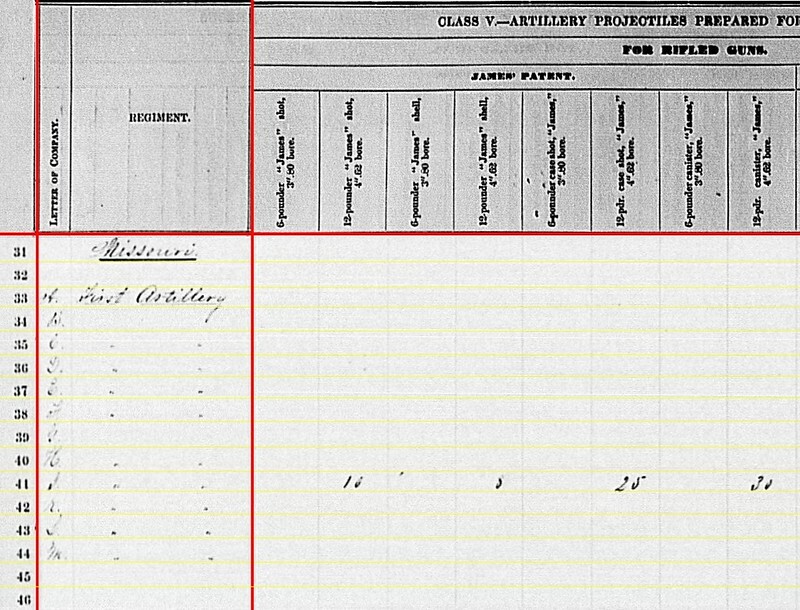 As Dyer’s recognizes the first twelve as lettered batteries within a regiment of light artillery, I’m normally inclined to use such designations. 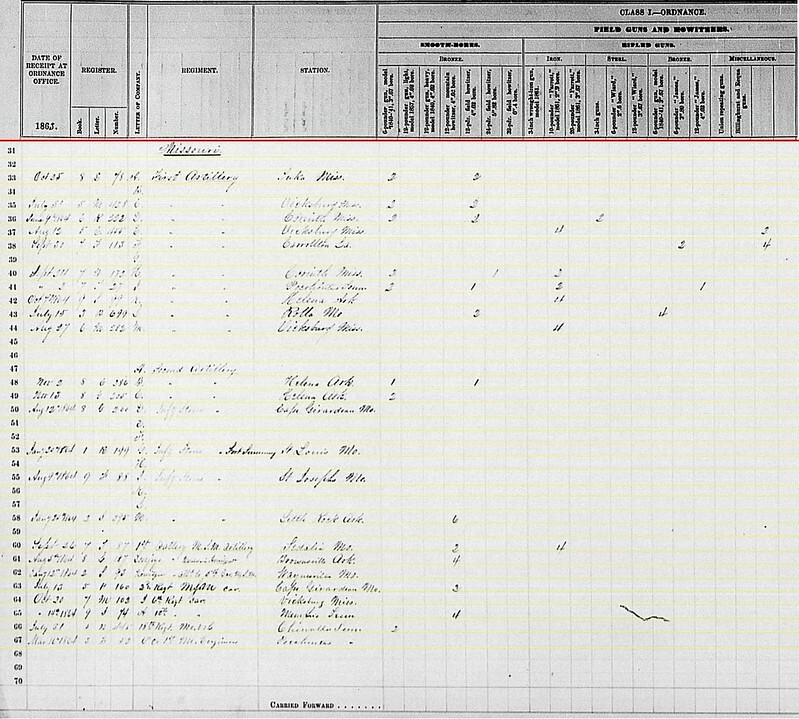 However, the summary statement for December 1862 lists these batteries by number. So for this post I’ll translate from the listed designation to the other designation. Battery A (1st Battery): No return. 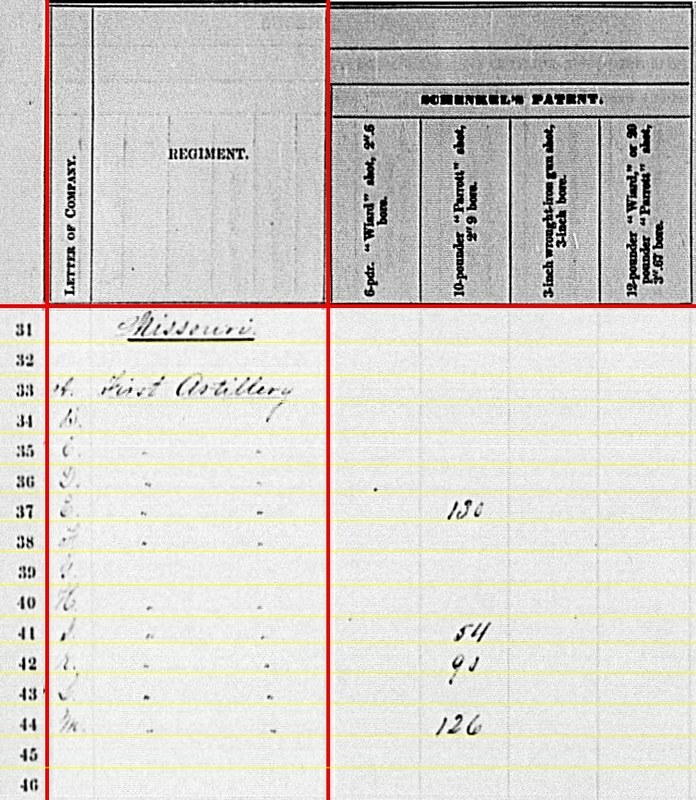 Was assigned to the Army of the Cumberland’s Center Wing (1st Division) and at Stones River in December 1862. 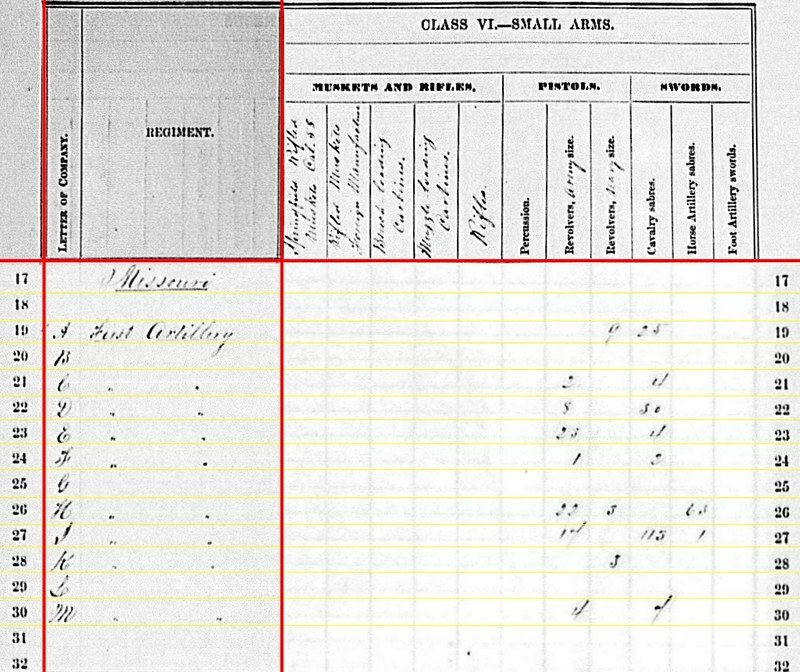 Lieutenant George Van Pelt’s battery rendered good service that day, firing 697 rounds. Battery B (2nd Battery): No return. This battery was still smarting from losses sustained on April 6, 1862 … you know, first day at Shiloh. A surviving section was attached to Battery C, 1st Missouri Light Artillery (Mann’s Battery). And the reorganized, freshly recruited sections were in transit to west Tennessee that December. Battery C (3rd Battery): Corinth, Mississippi. One 12-pdr field howitzer and three 10-pdr Parrotts. 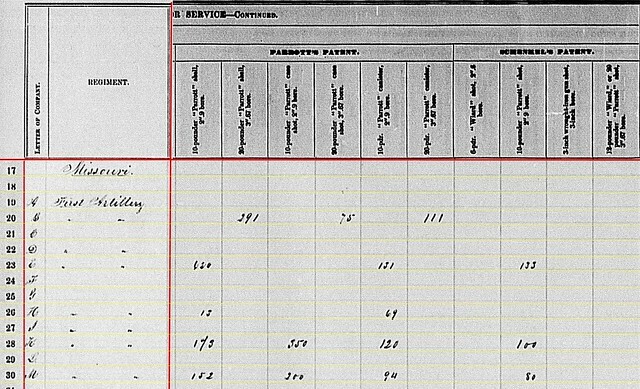 Assigned to the cumbersome 13th Corps at the time. Battery D (4th Battery): Murfreesboro, Tennessee. 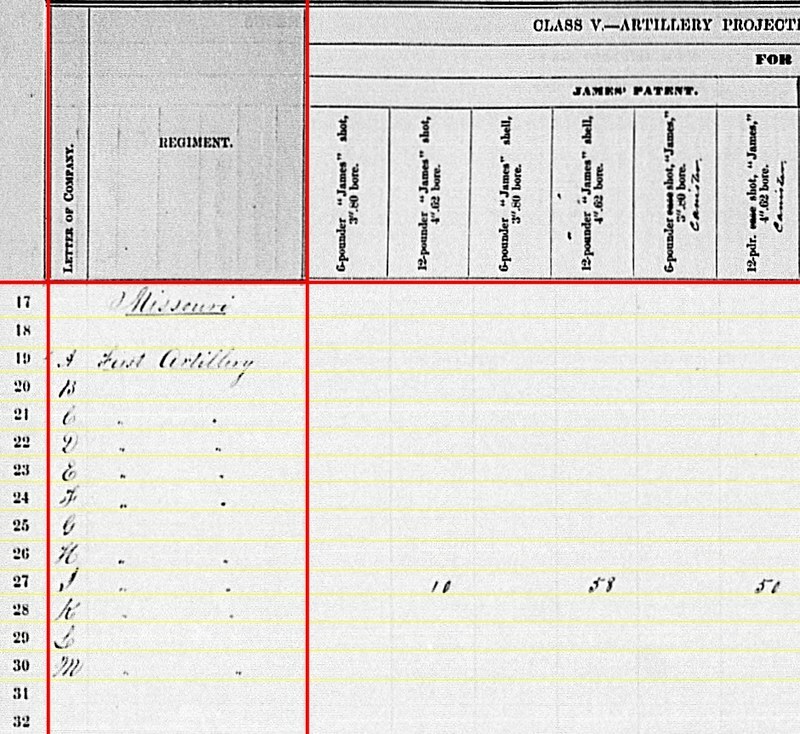 Two 12-pdr field howitzers, two 10-pdr Parrotts, and two James 3.80-inch rifles. 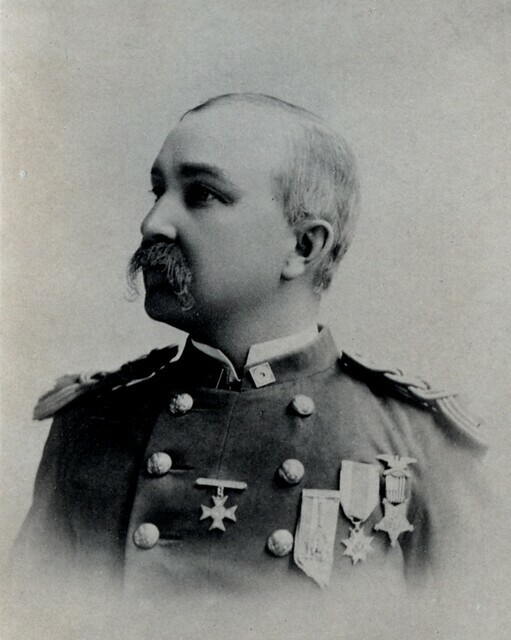 Assigned to the Third Division, Center Wing, Army of the Cumberland, Captain Josiah Church’s battery expended 170 rounds in the battle of Stones River. Battery E (5th Battery): At Nashville, Tennessee with four 6-pdr field guns. This battery was on garrison duty. Battery F (6th Battery): Munfordsville, Kentucky. Two 6-pdr field guns and two 10-pdr Parrotts. 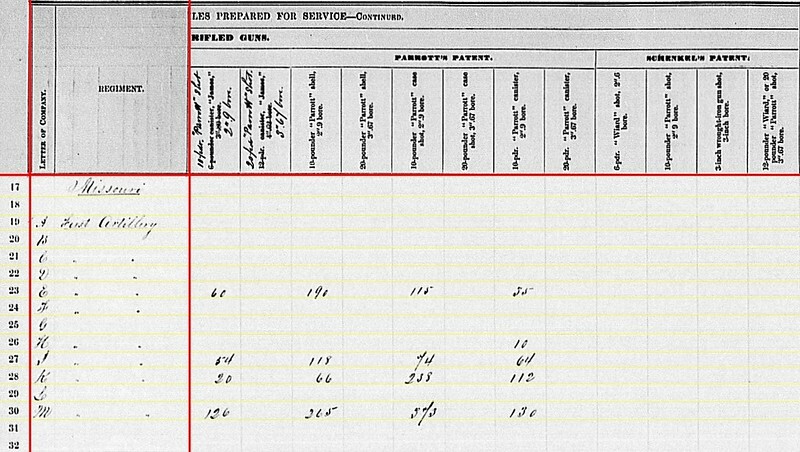 Records show that one section (type of guns unknown) was at Munfordsville under Lieutenant L.F. Hale. Another section was at Bowling Green under Lieutenant D.B. Paddock. Battery G (7th Battery): Carrollton, Louisiana. Six 3-inch Ordnance Rifles. Carrollton was the battery’s location in September 1863, when the report was received in Washington. In December 1862, this battery was with Sherman’s ill-fated Chickasaw Bayou expedition. Battery H (8th Battery): No location indicated. 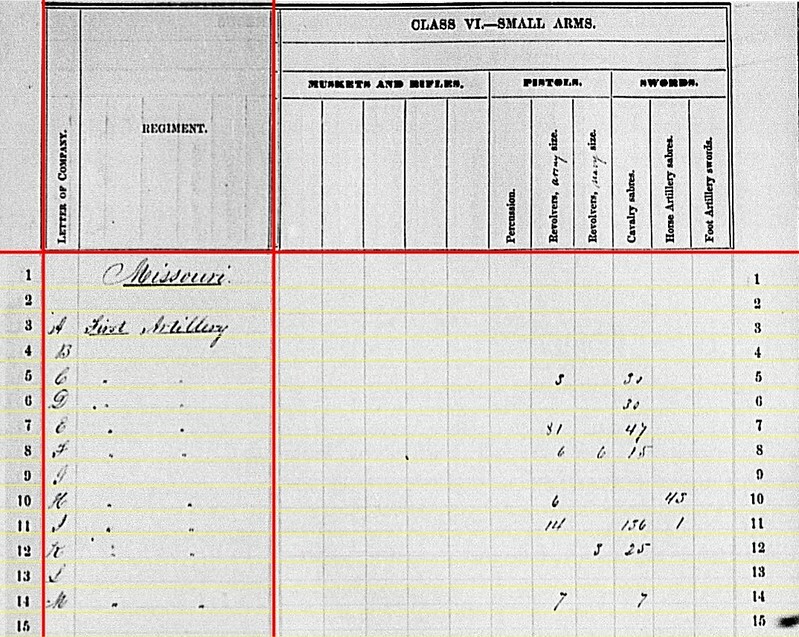 Two 12-pdr field howitzers, two 6-pdr (3.67-inch) rifles, and two James (3.80-inch) rifles. This battery was in transit down the Mississippi River to Memphis, where it would join the 13th Corps. Battery I (9th Battery): Washington, D.C. Six 3-inch rifles. This battery was assigned to the defenses of Washington. It would later become part of the Army of the Potomac’s Horse Artillery. Battery K (10th Battery): Grand Rapids, Michigan. 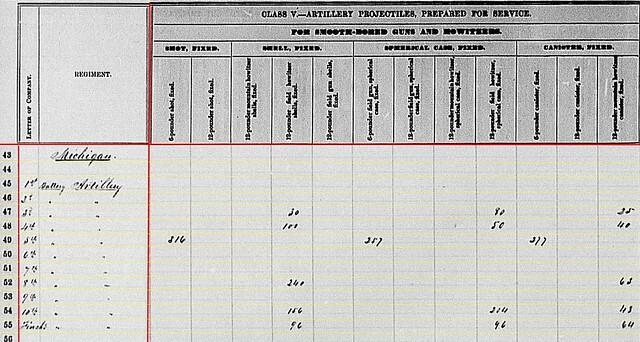 Two 12-pdr field howitzers and four 3-inch steel rifles. Was preparing for a posting to the defenses of Washington. Captain John Schuetz commanded this battery through the war. Finch’s Section: Lexington, Kentucky. Two 12-pdr field howitzers. 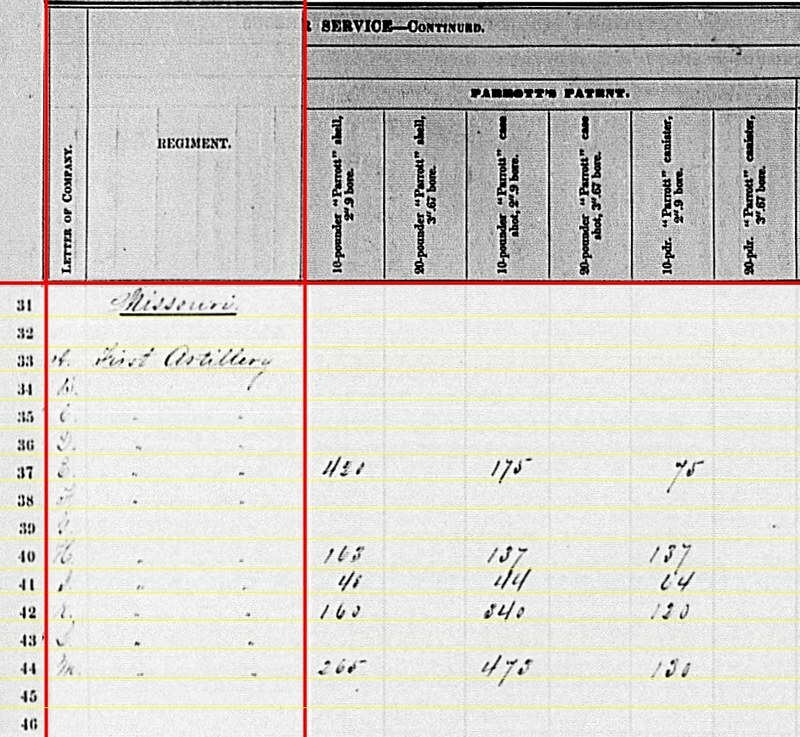 Lieutenant A. J. Finch (18th Michigan Infantry, if my research is correct) commanded this section in the “Army of Kentucky” or District of Central Kentucky. 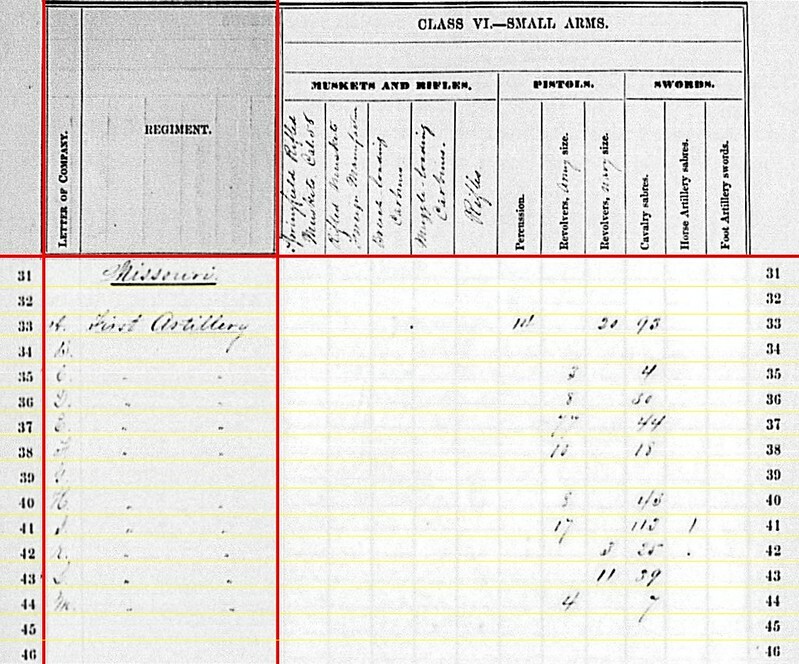 A fair allocation of the Michigan artillerists, weighted as one might expect to the Western Theater. Battery C: 30 shell, 80 case, and 25 canister for 12-pdr field howitzer. Battery D: 100 shell, 50 case, and 40 canister in 12-pdr field howitzer. Battery E: 316 shot, 257 case, and 277 canister for 6-pdr field guns. Battery H: 240 shell and 63 canister for 12-pdr field howitzers. Battery K: 156 shell, 204 case, and 43 canister for 12-pdr field howitzer. Finch’s Section: 96 shell, 96 case, and 64 canister for 12-pdr field howitzers. Battery G: 302 3-inch canister of the Hotchkiss type. Battery H: 281 shot and 130 percussion shell of the Hotchkiss type for 3.80-inch James rifles. Battery I: 108 canister, 75 percussion shell, and 200 fuse shells of Hotchkiss type for 3-inch rifles. Battery K: 96 canister, 165 percussion shell, 165 fuse shell, and 390 bolts of Hotickiss patent for 3-inch rifles. Battery C: 40 shell and 382 case Parrott-patent for 10-pdr Parrott. And then 57 Schenkle shot for 10-pdr Parrott. Battery D: 30 case Parrott-type for 10-pdr Parrotts. Battery H: 97 James-type for 3.80-inch rifles. Battery C: 126 Schenkle canister for 10-pdr Parrott. Battery D: 150 Schenkle shell for 10-pdr Parrott and 265 Schenkle shell for James 3.80-inch rifles. Added to the end columns we see Battery H had 186 canister of 3.67-inch and 41 canister of 3.80-inch, both quantities of Tatham’s type. Battery C: Seven cavalry sabers. Battery D: 20 cavalry sabers. Battery E: 10 horse artillery sabers. Battery G: 16 Army revolvers, 8 cavalry sabers, and 6 horse artillery sabers. Battery H: 50 cavalry sabers. Battery I: 161 Army revolvers and 33 horse artillery sabers. Battery K: 20 Army revolvers and 167 horse artillery sabers. 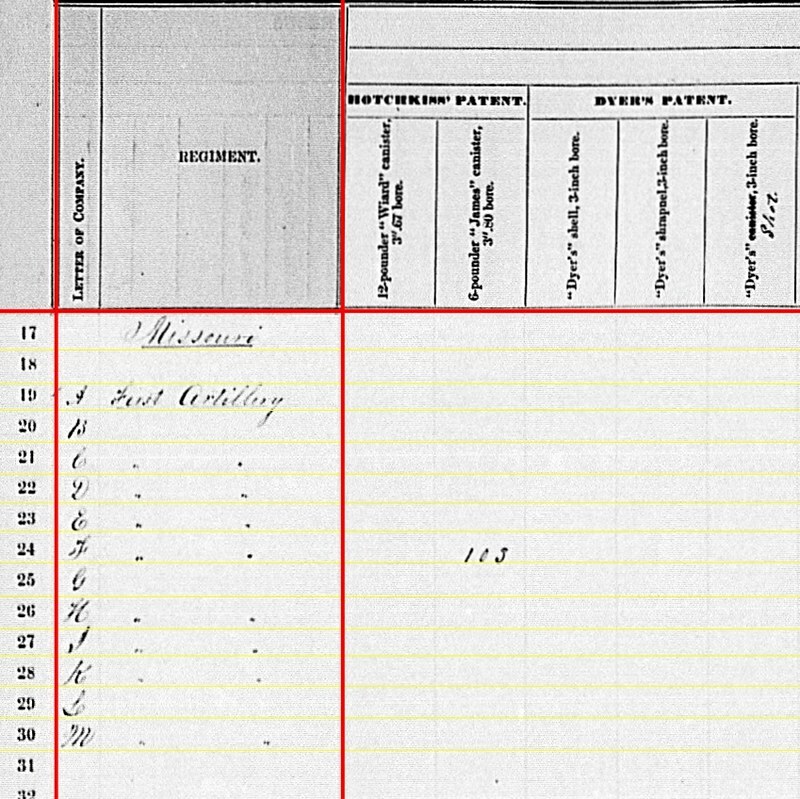 Finch’s section: Four cavalry sabers. 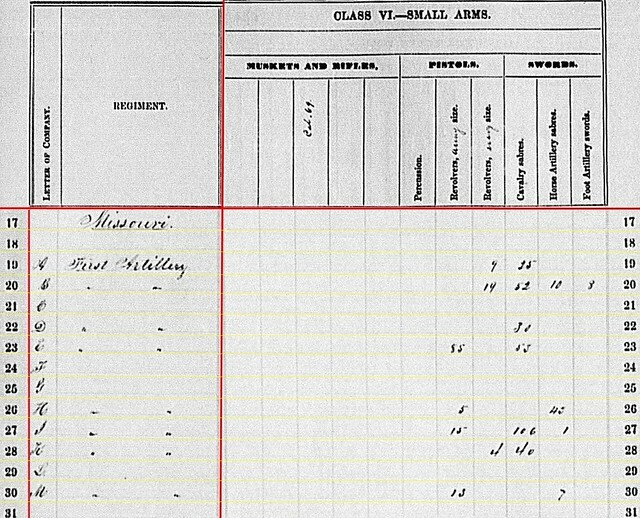 Clearly those Michigan troops in Washington, or destined to be posted to Washington, got the lion’s share of the pistols and edged weapons.